I am still in the process of packing but I am still trying to find out other things to do, not to pack. Are you also a last minute packer, do you also delay packing forever? Back to topic, Clinique recently added new colors to their Long Last Glosswear line, two of which I was testing for a couple of weeks now. The names of these are so cute, the ones I have are called "Kissyfit" and "Cupid's Bow". 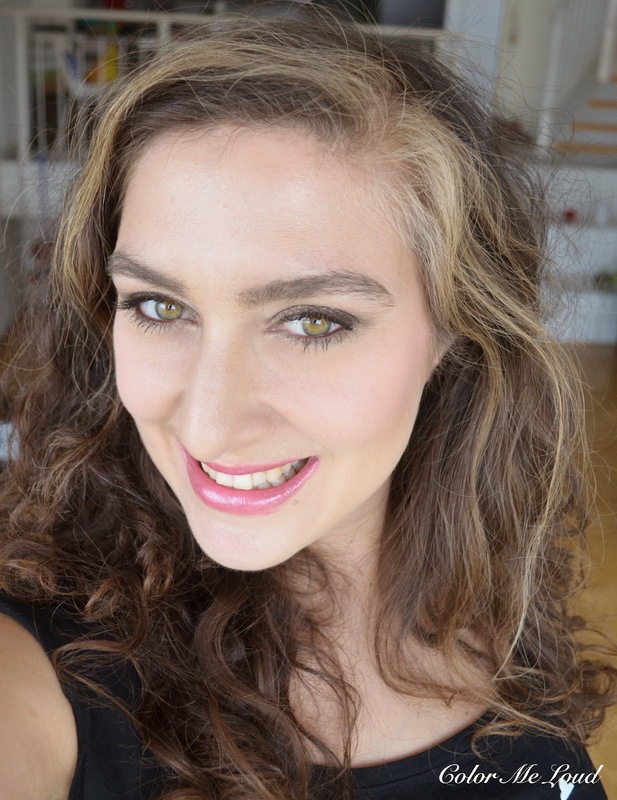 Kissyfit *chuckles* Today I would like to share some swatches and FOTD as well as my thoughts about the formula. Clinique Long Last Glosswear comes is a plastic tube with sponge applicator, the lid is twist open and has a metallic coating. The consistency of the gloss is not too runny and it is easy to apply on the lips. The texture is more on the stickier side, I find it close to MAC Lipglass formula. It is a personal preference if you like more stickier or creamy glosses but to my experience some stickiness means longer lasting as well which is the case with these. They last about four hours on me if I can go easy on coffee and tea. 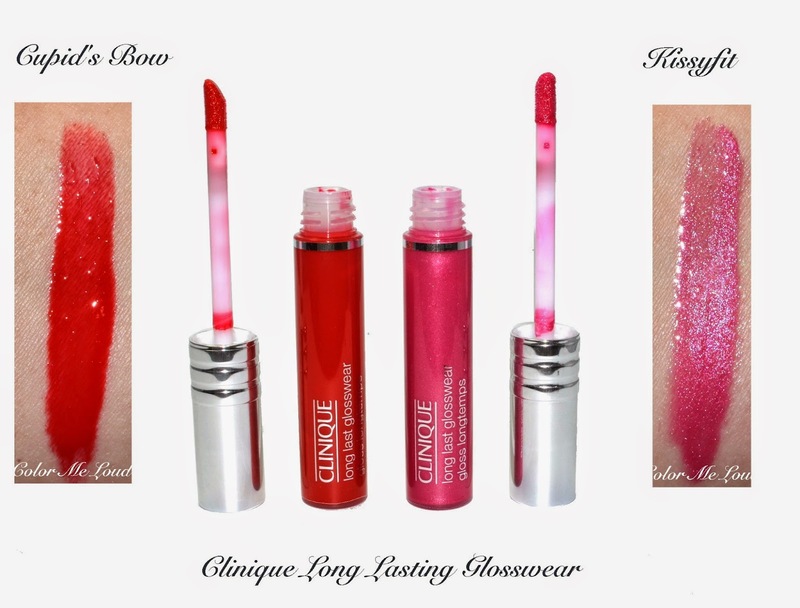 Clinique Glosses are light weight and comfortable to wear. A huge thumbs up to the fact that they are perfume free. I know that some people just can't wear MAC Lipglass because of the scent, so they may check these out instead. 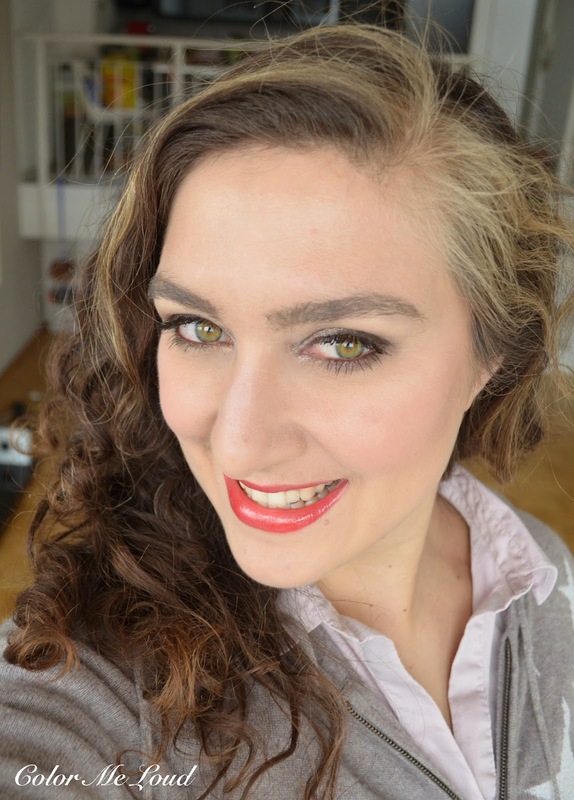 Clinique Long Last Glosswear in Cupid's Bow is a warm orange red with glossy finish. This one doesn't have pearly particles inside. Cupid's Bow is very pigmented, with one swipe it is quiet opaque and with the second swipe you can achieve a coverage below. Although this is not a color I would wear very often, I really enjoy the opaqueness and glossy finish. Clinique Long Last Glosswear in Kissyfit is a mid-toned mauve pink with silver pearly finish. Kissyfit is a little sheered than Cupid's Bow but it can be build up to full coverage. Kissyfit is definitely more my color so lately I found myself reaching for it quiet often. Final thoughts: Clinique Long Last Glosswear's new colors come in fun names and two I have tested have very good color pay off and opacity. If you don't like stickiness on your gloss, these may not be for you though. Big thumbs up for being perfume-free and long lasting. Each tube has a generous 6 ml/.20OZ of product (as a reference MAC Lipglass have 4.8 g) and retails for about 20 EUR. 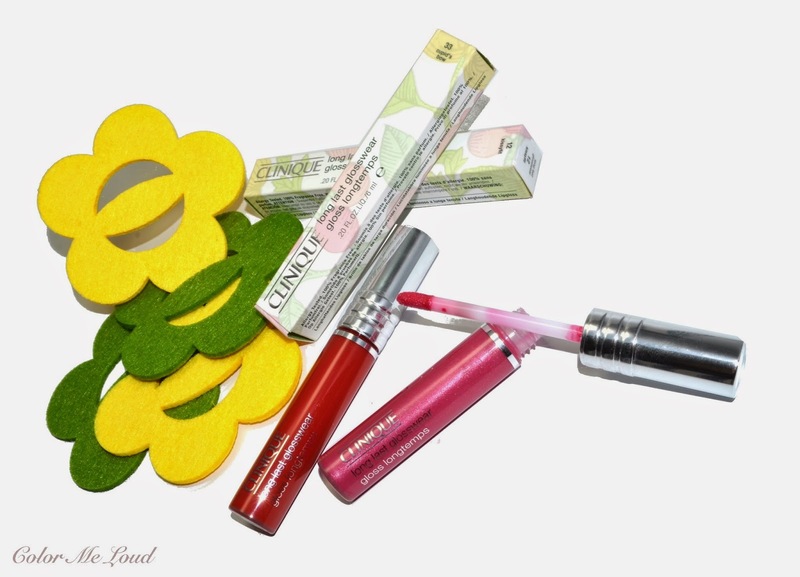 Have you tried Clinique glosses yet? Which is your favorite gloss formula? Both look nice, but I think Cupid's Bow really brings out the green in your eyes and will go well with a peachy coral blush. Hehe, Kissyfit is a cute name! And this color in particular is absolutely beautiful on you. And Cupid's Bow is so pigmented! I am not a gloss person (the texture & the sometimes stickiness) brings out terrible rage tendencies in me, but I always appreciate the shine & and look. Thanks Belly, yes I like Kissyfit and yes they are both quiet pigmented. Rage tendencies? hahaha. I know what you mean. Especially once the hair gets stuck on your lip. I actually like lipsticks and more matte the better so gloss is not my type of product, although I can make exceptions from time to time. I know what you mean. You are right, since red and green are complimentary colors, there is a nice effect but I feel like red doesn't go good with the rest of my complexion. Never got used to wearing reds, lol. I shall try it with a more coral peachy blush next time! I think Cupid's Bow would look great on you! You wear warm shades really well. I have these glosses in 3 colors, both with shimmer and without, bought them on sale. They are indeed extremely sticky, so that I even have a problem talking because my lips stick together while I am speaking :) However, this gloss can repair my lips if they are overly dry. So I sometimes wear it at home or during long flights, when even the richest lip balms dry out within 30 minutes. When I do not risk talking to anyone, it is a great product, just not office friendly :) I find the other Clinique glosses, in tubes, excellent - also very moisturizing but not sticky/shimmery.